Alzheimer’s disease is a slowly progressing condition that changes the person’s ability to thrive and live a normal life doing daily life sustaining tasks and actions. The family of an affected person usually notices that something is not right first and over time, the affected person begins to realize that something isn’t right as well. 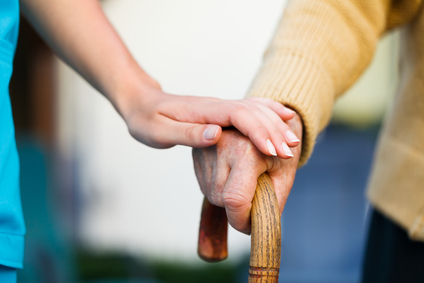 Age is a major cause of Alzheimer’s disease and usually occurs in older adults. Certain changes in the brain can contribute to the damage seen in the brain of Alzheimer patients. It is also believed that genetics play a role in developing Alzheimer’s, people who have relatives with the disease are more likely to develop it themselves. The treatment for Alzheimer’s depends on the persons symptoms and differs from person to person. The majority of treatments are focused on managing symptoms because there is no cure. Treatments try to control the troubling parts of the disease for as long as possible. As the disease progresses, it may be necessary to move the patient to an assisted living centre or home where they can be cared for around the clock. Prevention of Alzheimer’s disease is still being researched to fully understand the best ways to reduce the risk of developing this disease, however, it is understood that exercise and a healthy diet can help reduce age-related changes that occur in the brain. Physical exams and laboratory tests can help identify health issues that can cause symptoms of Alzheimer’s disease. Conditions other than Alzheimer's that may cause confused thinking, trouble focusing or memory problems include anemia, infection, diabetes, kidney disease, liver disease, certain vitamin deficiencies, thyroid abnormalities, and problems with the heart, blood vessels and lungs. Getting regular tests can help give you crucial information and will keep you updated on your health status.